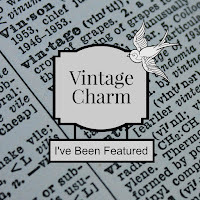 Welcome to Vintage Charm Party #126! Rita from Panoply has a real flair for arranging beautiful tablescapes. 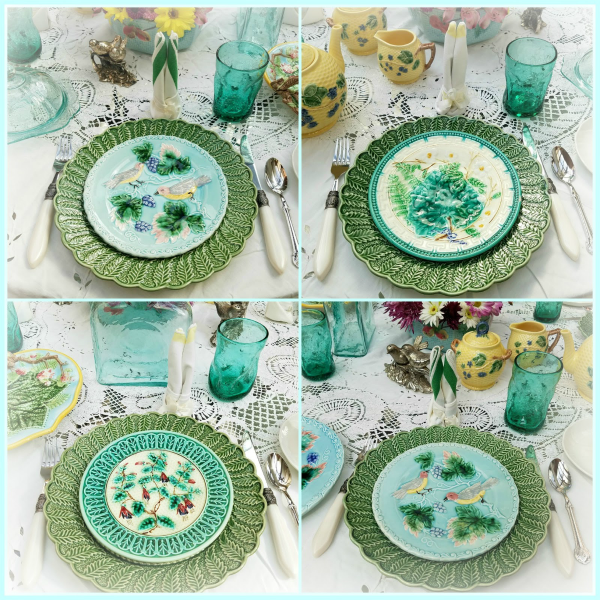 For her latest, Majolica Spring Tablescape she adds an assortment of birds, bunnies and blooms to her lovely dish collection, creating a delightful feast for the eyes! It's gorgeous, Rita! 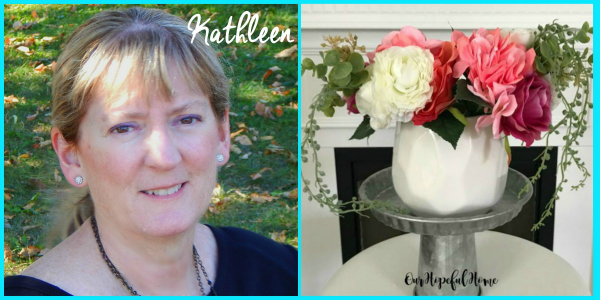 Linda from At the Createaerie has come up with a truly original and awesome invention. 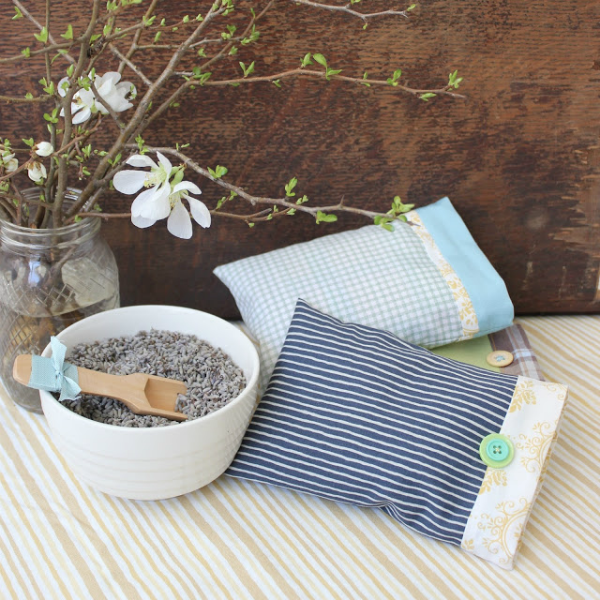 She followed her muse and created some teeny tiny pillowcases filled with lavender. Yes, I said pillowcases! And they're reversible! 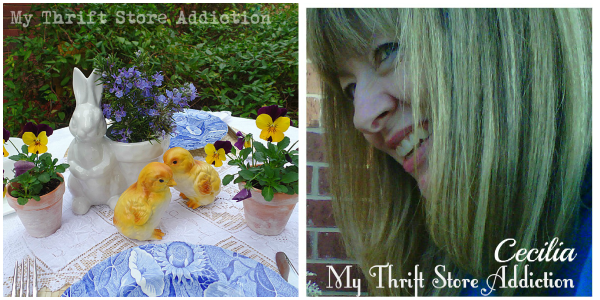 Visit her blog post entitled A Little Pillow Talk to see what I mean and to fall in love with them like I have. Linda should definitely sell these babies! Drop by and let her know! Rita's majolica is stunning! Great feature! Thanks for hosting, Cecilia! Thanks for hosting! Rita's table is definitely one to be featured. Have a beautiful Easter weekend and happy spring. I have found my people! Seriously, I love others who love vintage as much as I do. This will be my guilty pleasure tonight, reading the posts, as I drink my tea. So glad I found your blog.